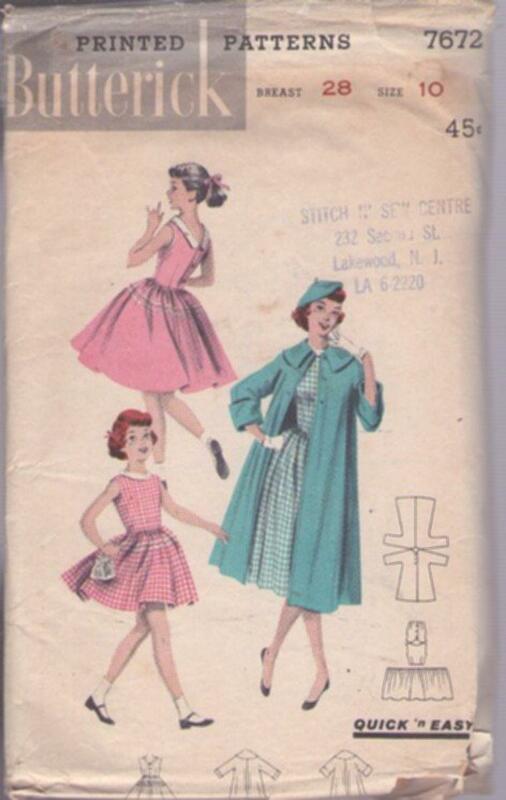 1956, 50s Children, Retro Ensemble Clothing Patterns - Scoop-necked dress has back-dipping, contrast collar. Skirt is bias trimmed at hipline. Loose coat features a Puritan collar, cut in one sleeves with turn back cuffs that vary sleeve length.